Kesrick Omari Kenal Williams is a West Indian cricketer, who was born on 17 January, 1990. He is a right arm fast-medium bowler and lower-order batsman. Williams was the chief wicket-taker for the Jamaica Tallawahs in the 2016 Caribbean Premier League. Williams made it to the Windward Islands side in the year 2011 and made his first-class debut. During the 2012-13 season, Williams played for Combined Campuses and Colleges. After becoming an influential bowler domestically, Williams stepped in international cricket in September 2016 where he made an appearance in the T20I West Indies squad for its series against Pakistan. In 2017, Williams made his ODI debut for the West Indies against India. 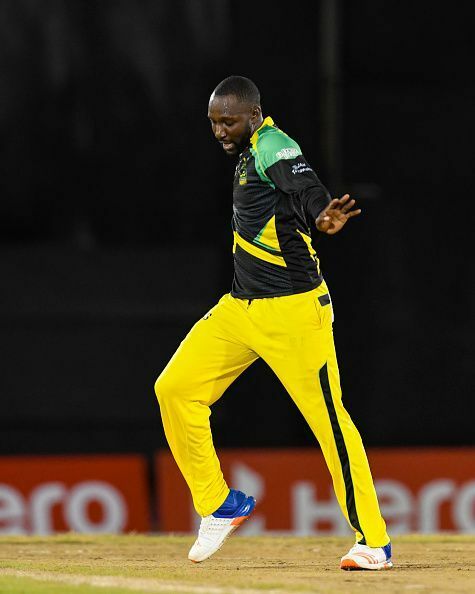 In the domestic cricket, Williams when he was playing for Jamaica Tallawahs in the 2016 Caribbean Premier League, Williams played all games in the tournament and took 17 wickets, which was the highest in his team. He also received the Man of the match award in 2017 in the T20 International when West Indies were playing against Afghanistan. His outstanding performances in the 2017 CPL came against Guyana Amazon Warriors where his bowling figures were 4/37. He also took 3/19 against the St Kitts and Nevis Patriots. Williams has played for clubs Combined Campuses and the Windward Islands. Currently, Williams plays for the Jamaica Tallawahs in the CPL and the Rajshahi Kings in the Bangladesh Premier League.